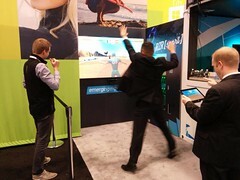 We teamed up with digital agency Razorfish and their Emerging Experiences group at the National Retail Federation Annual Convention and Expo to showcase what the future of retail will look like. 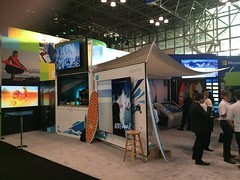 We customized a 20-foot Cabana design to create a highly interactive, and high-tech surf-and-sand branded retail experience aptly named RZRShop where NRF attendees could design their very own surfboard. 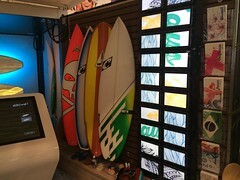 Packed with more technology than most permanent retail stores, RZRShop discreetly hides meters and meters of electrical wiring to power and connect gaming consoles, track lighting, speakers, computers, a projector, one 46″ LED display, four 75″ LED displays, and an entire rack of servers. 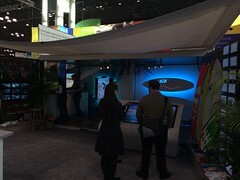 With a nimble yet open footprint, and large 10′ by 8′ doors that act as display walls, RZRShop allows for an efficient traffic flow guiding visitors through an unconventional yet refreshing shopping experience. 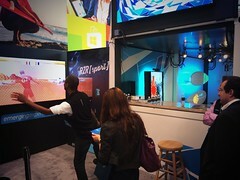 Using their groundbreaking 5D Retail Experience Platform, RZRShop minimizes inventory while maximizing floor space, as the 5D Platform seamlessly bridges across digital devices and platforms to drive product engagement and arm in-store staff with digital tools. 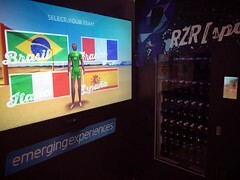 The experience starts with a Kinect-powered dual screen interactive soccer game, where users are rewarded with a RZRSport drink based on performance. 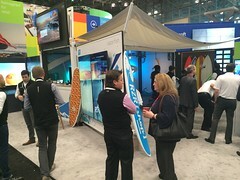 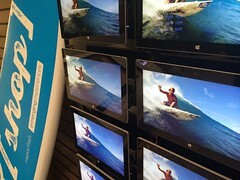 From there attendants design their own surfboard by choosing material of the board, graphics, color and other customizable options and watch in real time as their choices are projected onto an actual surfboard. 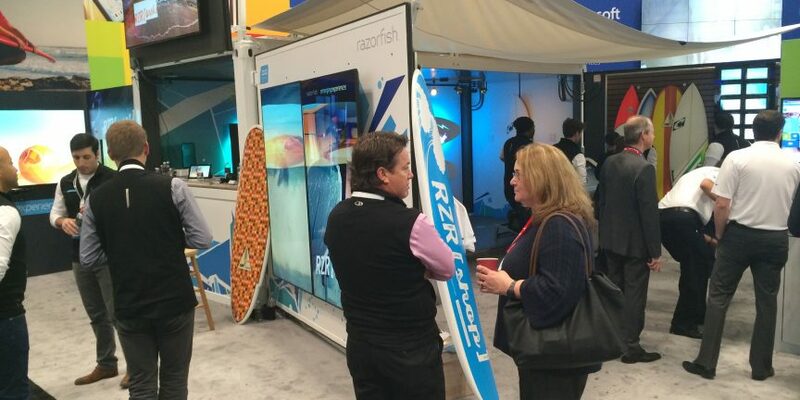 Once satisfied with their purchase, RZRShop overcomes the 3-5 days of wait time for delivery of the new board by using Kinect One powered technology, allowing customers to take a picture with their newest purchase in front of their favorite beach, and share that on social media. 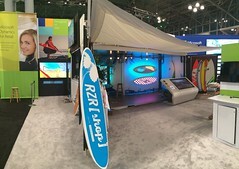 Take a look at the photos and videos below to see the RZRShop before and after construction, and in action at the NRF.